Those emails were obtained by M.J. Williams Law via a Freedom of Information Law (FOIL) request and include communications between Nov. 2014 and Jan. 2015. They build on a prior FOIL disclosure from July 2018. In July, after an initial FOIL request and court case, Williams obtained 75 NYPD communications that showed undercover officers monitored Black Lives Matter activists, tracked their movements and kept photos of individuals on file. These hundreds of emails detail communications between the NYPD Intelligence Bureau’s Criminal Intelligence Section on the location of protesters and Black Lives Matter events. Officers paid particular attention to “cop watchers,” according to the documents, and took multiple photos of activists who wore uniforms identifying themselves as Cop Watch members. Anyone can legally record the police, but the Justice Committee, a grassroots organization against police violence, has a specific Cop Watch Project for which activists wear shirts that identify them as cop watchers. Although these emails wrongly identify that particular cop watcher as a leader of the Black Lives Matter protests, they are significant, Williams said, because they show the NYPD’s alleged “animosity” towards these cop watchers. There are limits to how long the NYPD can retain their political surveillance, unless it relates to “potentially unlawful or terrorist activity.” Williams said the NYPD would not have turned over these records if there were an active investigation, but the fact that the department held on to these images years later is concerning. Those limits are part of the Handschu consent decree, which the NYPD said in a statement that it "fully complies with." "The NYPD does not interfere with Constitutionally-protected activities, and did not investigate Black Lives Matter as a political organization or movement," the department said. "The NYPD was focused on ensuring the safety of the public, protesters and officers at these events. ...The vast majority of these demonstrators cooperated with police efforts, and the NYPD helped facilitate these protests by moving along with them, when necessary stopping traffic to aid in the demonstrators safe movements." Still, the records of Black Lives Matter protest surveillance are worrisome, experts say, because it could deter people from protesting at all. The NYPD said in a statement that its investigations focused on individuals who "had specific plans to go beyond lawful protest," like disrupting New York City by blocking traffic on bridges, tunnels and main avenues. 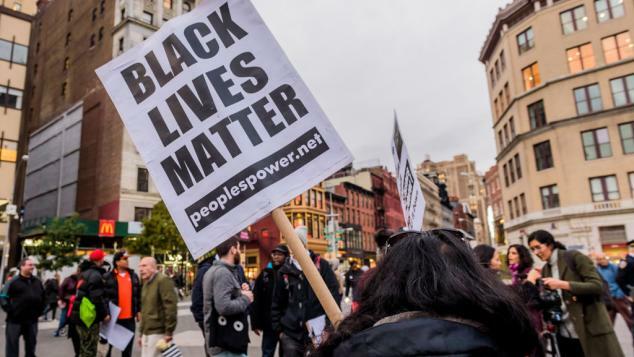 Thanks to a separate FOIL filing by another attorney, more records concerning the NYPD’s attempt to spy on Black Lives Matter protests could soon come to light. A New York State judge ruled Monday that the NYPD needed to disclose whether it spied on Black Lives Matter protesters and used devices to interfere with activists’ cell phones at protests.